System migrations can be tedious, time-consuming and wrought with frustration. But with careful planning, solid best practices, good migration tools, and advice from IT administrators who have already made the leap, you can help your clients’ migrations go smoothly. Still, migrating to Windows 10 may seem like a daunting task, especially since there are organizations out there that haven’t yet finished the move from Windows XP to Windows 7. In this expert e-guide, we have assembled some helpful hints and advice for making your clients’ OS migrations as simple and pain-free as possible. 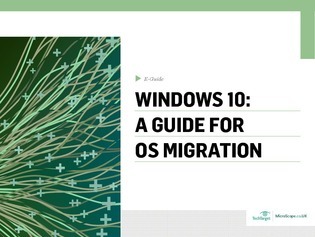 Discover some of the benefits of Windows 10, and learn the facts about migrating users from older versions of the software.